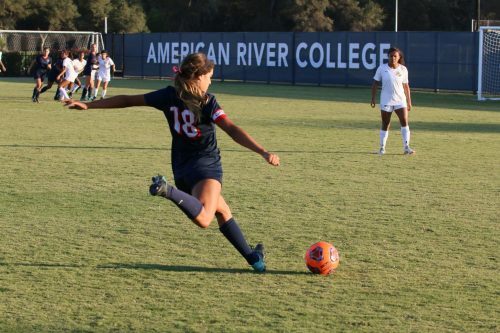 On Oct. 19, American River College women’s soccer team was defeated by San Joaquin Delta College, putting them on a four-game losing streak after the team’s last 9-0 win against Sacramento City on Oct. 5. Fifteen games into the season, the team stands at 3-11-1. Delta College’s bench was very vocal from the start of the game. Delta got two shots on goal within the first two minutes of the game, which contributed to their high intensity in the first half. ARC’s strong defense against Delta got them through the first half, and both teams went into halftime tied at 0-0. The second half started off like the first, except Delta gained more power offensively. The ball was in the Beavers defensive end for a majority of the second half. Delta got more shots on goal and eventually scored its first goal, shot by Aliyah Rafael in the 49th minute. Shortly after the first goal, Delta came back again and Daisy Contreras scored another, giving the team a 2-0 advantage over the Beavers. “We lost our rhythm a little bit. All of a sudden, they’re up two and they don’t have to play and attack with that much ambition and they can sit back, absorb a little more pressure, and just kill the game and win it two nothing,” said Paul Arellanes, head coach. ARC kept fighting on both sides of the field, and began to get more aggressive as the game was winding down. Many Delta players complained about their jerseys being pulled by the Beavers to the referee. Defensive players Josie Baca and Averi Roberts from ARC both received yellow cards as a result of playing too aggressively. The game resulted in a 2-0 loss for the Beavers, putting them at a conference record of 2-8-1. 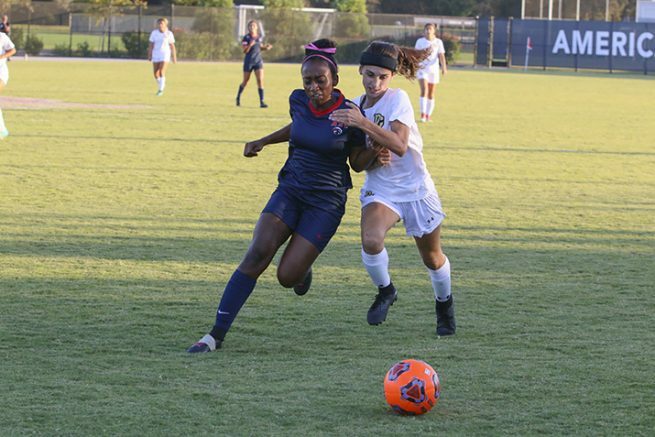 The team’s next home game will be Oct. 30 vs Sierra at 7:00 p.m.
Be the first to comment on "Women’s soccer continues losing streak with loss to Delta College"